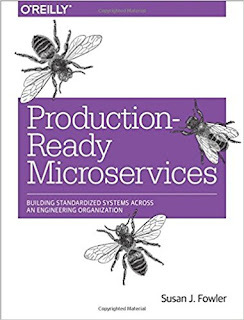 Production-Ready Microservices is a short book about consistently practicing architecture and design over a fleet of microservices. In general, I think the principles described here apply very much to any service-oriented initiative, even more so if the services are coarse grained and hence require more maintenance than finely isolated ones. The book extrapolates from the author's experience at Uber "standardizing over a thousand microservices". Given a few developers for each microservice team, that makes up 2000-3000 engineers from the total >10000 Uber employees (I wonder how many are lawyers). After WhatsApp's famous story of being acquired at 55 employees in total, that really highlights the difficulty level of running a business and operations all over the physical world (sending cars and drivers around in dozens of countries) with respect to a digital-only enterprise. We should remember this and many other directions of change the next time we hear a technology advocate saying how much the cost of his 2-people startup has been reduced by $technology. You should be this tall to use microservices; this architecture doesn't necessarily fit every context; although integrating separate services of some size is becoming a standard after the API revolution (before that, it was integrate through the database which is arguable worse). Inverse Conway's Law, with the shape of the products defining the shape of the company. Although I found out this doesn't really apply at smaller scales as development teams can own more than one service and experience a successful decoupling between people and code. Technical sprawl, where multiple languages, databases and other key choices spread without a consistent, central planning. More ways to fail: distributed and concurrent systems are more difficult to work with and to reason upon, plus the fact that there are more servers, containers or applications will simply multiply the failures you'll see. There are lots of non-functional requirements like scaling each microservice and isolating it from the rest of the fleet; perhaps don't go too micro- if you don't have the resources to ensure an acceptable level in each service. Perhaps in your context the acceptable SLA for some particular service is low, because it's not change often or is only internally facing or is only used several times per day. One particular aspect of the Consistency is important lesson is that the whole lifecycle of services should be considered. Maintenance and even decomissioning are as important as producing new MVPs: but I've seen many times services being neglected, or being considered very easy to migrate away from one some new shiny substitute was available. In reality, it takes time and effort to keep services up and running, and to finally kill them when you have an alternative, as data and users are slowly migrated off from the old to the new platform. Lots of requirements are also overlooked but often turn out to be important as you increase your population of services: the scalability of a single endpoint, fault tolerance, even documentation (ADR are the only form I trust very much right now in a fast-moving organization context.) Every single section of this book will make you think about it, but won't give much of an overview: you're better served by reading the SRE book for example. This book is a short read which gives you an overview of what microservices challenges you're likely to face down that rabbit hole; in particular, it focuses on a medium-to-large organization context. I'm not sure this book is worth the price tag however: 20 pounds for a Kindle edition of ~170 pages, where ~25 pages are glossary, index and lots of checklists. Algorithms to Live By: The Computer Science of Human Decisions is a book that puts together the domains of computer science and real life. The ensemble of topics being touched is wide. The book treats deterministic algorithms such as optimal sorting, but then moves on to more context-dependent strategies for caching and scheduling. The last chapter even get to model identification, (tractable and intractable-made-tractable) optimization problems, stochastic algorithms and game theory. 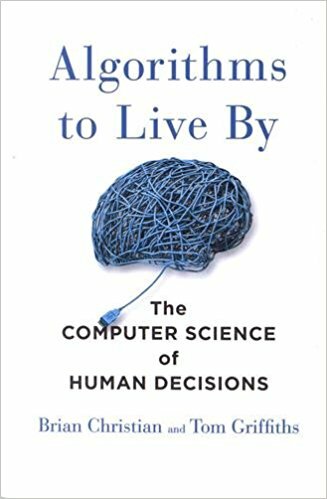 If you like viewing the world throughout the lens of algorithms and see how the strategies of humans and computer compare with each other, I would strongly recommend this book as it will make for an entertaining read and some principles to take away for real life usage (I hope sorting socks will be easier now). Skip it if you have a very wide knowledge of computer science, operations research, Nash equilibria... but even if I was familiar with the technical part, I was missing the connection to different domains or everyday, real world problems. I listened to the audiobook version, which lasts about 12 hours. You may find it easier to skim through some chapters if you are more (or less) interested in some topics. The problem with audiobooks is that I can't easily take notes, while highlighting on an e-book reader is quick and lets me recollect all important gotchas later into a text file. 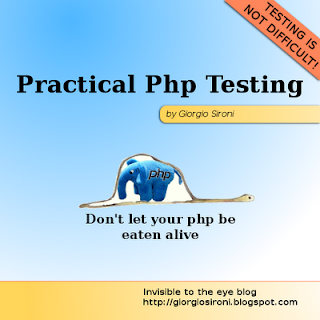 Moreover, the team starts from a high level of coverage and design on many projects, to the point that my focus has always been on the provisioning and automation of testing environments, and on large-scale end2end testing. 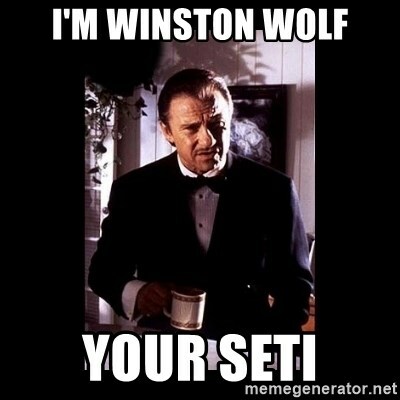 What seems just a letter on a job title (from SET to SETI) is in fact an alignment of responsibilities so that I am not accidentally mistaken for "the QA guy" but always seen as a problem solver instead. Roles are always an approximation in a team of generalizing specialist that also distributes and collaborate on some roles such as that of architecture. But it's helpful in a cross-functional team to have someone dedicated to the task of productivity, whether it is reached through automation, tooling, or continuous improvement.